The Chelsea players celebrated this win like it was a semi-final. This was supposed to be the stumbling block, a top-four side hadn’t beaten Stoke at home in ages and we were supposed to let City back into the title race. 90 seconds into the contest that theory was blasted into the back of the Stoke net by a John Terry header from Fabregas’s corner. 0-1. Stoke had clearly counted on containment and danger on the break or at set-pieces. There rugged style only once threatened to boil over in a hard fought match. Phil Bardsley should have walked after hacking down Eden Hazard but was let off with a yellow. The match was one of containment after the early strike and when Fábregas popped up to scuff the second goal, 0-2, it was icing on the cake. Stoke managed one shot that Courtois had to save from a heavy deflection but he was largely untroubled in a commanding performance from the whole team. Other banana skins await but this was the first hurdle and means we can all enjoy tinsel and sprouts as league leaders. Controlled and professional don’t really do justice to this side at the moment. There is more panache, more style, more beauty in everything we do. Yet at the same time we have the steel to match rugged teams. West Ham have played more adventurous football this season but decided to drop Song and Sakho to the bench for this and looked at sea in the first-half. Oscar and Cahill could have put us into a lead before – and for all the praise our flowing football has garnered – John Terry reacted to Costa’s goal-bound header to stab us in front on the half hour. 1-0. From then on we probed and looked for another opening but didn’t allow West Ham to find any rhythm. They made a lot of fuss afterwards as Ivanovic tumbled in the box. Dive they claimed because Carroll’s arm was only briefly wrapped around his midriff. 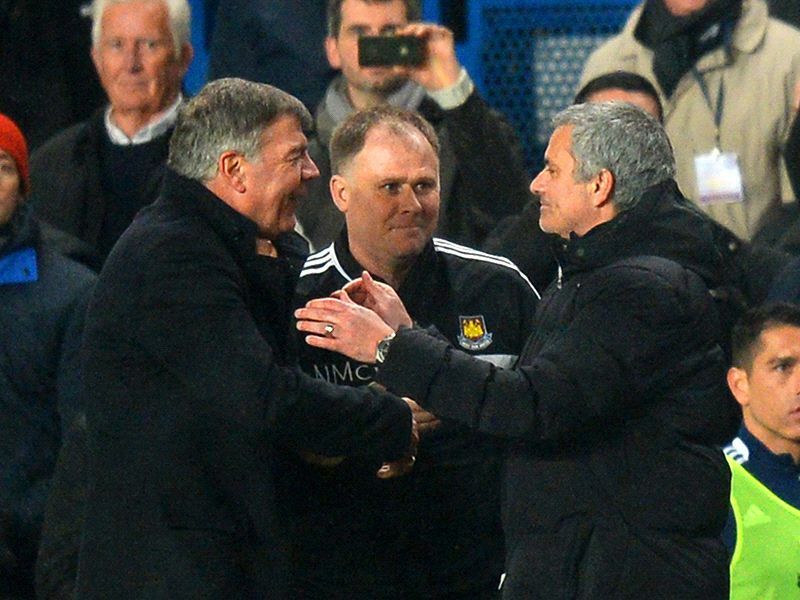 They seemed happy to ignore the contact Carroll made with his thigh that caused the Serb to tumble. Why let facts get in the way of a good story? In the second the visitors responded but still could find little threat and just as Sakho and Song started to make them look dangerous Diego Costa thumped in the goal that allowed us to see out the game. Costa’s goals are often wonderfully worked team goals with just his finishing touch. This was all his own; Hazard pinged the ball through to him and his quick feet took out three defenders and fierce shot dispatched the ball, West Ham and any further cares. They hit the post late on but it didn’t warrant much of a ripple of concern as we saw out another important milestone on the way – we hope – to a league crown. The players warmed down on the pitch afterwards and have been given a day off before travelling to Southampton for the latest in a string of stern tests. There was a warmly applauded tribute to the soldiers involved in the 1914 Christmas truce and the latest news on the football match all those years ago: 3-2 to the Germans. Wasn’t it ever thus? Fernando Torres has made his move to Milan with AC permanent. It will be officially ratified on January 5th but the announcement today marks the end of another experiment with the club’s notoriously cursed record signing tag. For all the stick Torres got for opposition fans and the media for his lack of league goals he scored 22 in the 2012-13 season and helped us lift the European, Uefa and FA Cups in his three years service. Christmas was never going to be a stroll and Southampton found their solidity and stubborn streak to keep this to a draw. The hoo-ha after the match revolved around diving and penalties not given but in the match two sides determined to entertain produced everything but chance on target. This was almost a tactician’s perfect match as the Saints set out to defend and managed to stifle the most potent attack in the league. In Victor Wanyama and Morgan Schneiderlin Southampton have a defensive midfield shield almost as tough as ours and in the first-half they snuffed out move after move. At the back we suddenly had to deal with a really quick lad breaking past his centre forward in Sadio Mané and it was his speed that left Terry floundering and Courtois exposed for their goal. 1-0. Eden Hazard reminded everyone of his class by stepping inside a few defenders and firing us level just before the break. 1-1. Jose spruced up the midfield by taking of the, increasingly, peripheral Schürrle and bringing Willian on to bolster the midfield. Southampton barely threatened after the switch. Fábregas was booted from behind in the box for a clear penalty but the linesman gave nothing and the unsighted referee knew enough to book the Spaniard for diving. The situation with referee’s armed with foresight rather than eyes is getting out of hand and Jose alluded to the fact afterward. Whether he trod carefully enough to avoid an FA charge we will only know when the FA’s star chamber gets back from scoffing turkey and farting sprouts. The result was made slightly more palatable by Burnley’s heroic comeback from two down away at Man City to earn the draw of the season so far. Our lead remains at three.